ZDG vibrating fluid bed dryer adopts fully enclosed structure, which can effectively prevents cross pollution between materials and air, resulting in a clean working environment. 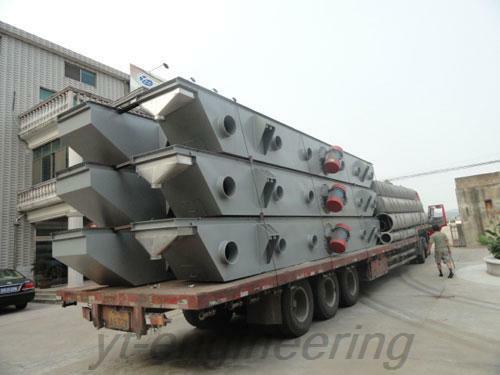 The materials enter into the drying machine via feed inlet, under the effect of exciting force, the materials along the horizontal direction proceed forward continuous movement. Hot air from top to bottom or from bottom to top conducts heat transfer with the materials through fluidized bed, thus uniformly drying the materials. 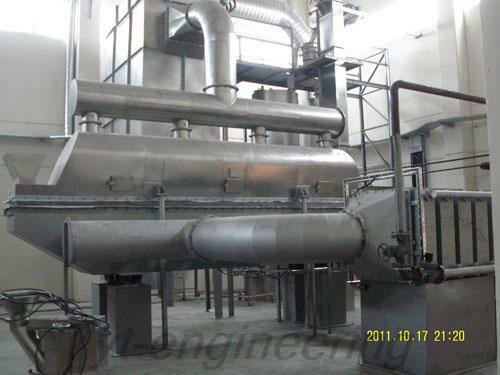 Hot air passes through the pore plate of fluidized bed to transfer the heat, and then expels from the air outlet and the dried materials are expelled from the discharge opening. 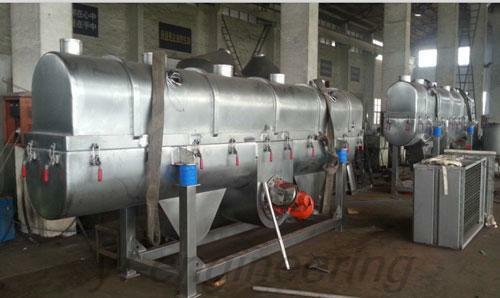 ZDG vibrating fluid bed dryer can be widely used drying and cooling the materials in the pharmaceutical, food, nourishment, chemical, pesticide, plastic, grain and oil, slag, salt manufacturing, sugar and other industries. The materials include all kinds of additives, chicken powder, gourmet powder, granulated sugar, salt, mineral powder, dispersing agent and so on. 1.With symmetrical fluidization, the users can obtain uniform drying and cooling products. 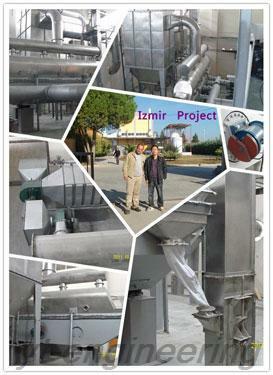 1.ZDG vibrating fluid bed dryer has good adjustability and wide adaptability. The material thickness, movement speed and total amplitude can achieve stepless regulation. 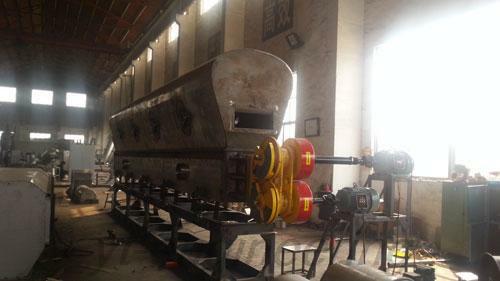 2.Our drying machine has little damage to the material surface, so it is applicable for drying fragile materials. Irregular material particles will not affect the working effect. 3.ZDG vibrating fluid bed dryer has high mechanical efficiency, high thermal efficiency and good energy-saving effect, thereby it can save 30 to 40% energy than common drying devices. 4.When the drying materials with high moisture content or need mass production, it can adopt tandem method to meet the requirements of users. 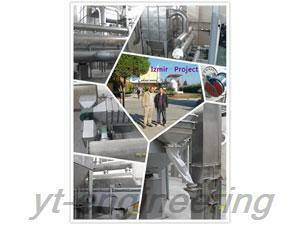 Yutong Drying Equipment Co., Ltd is a professional drying machine manufacturer and supplier in China. As a high-tech enterprise, we specialize in vibrating fluid bed dryer, grinding machine, mixing machine, granulating machine and other machines. We have rich experience in design and manufacture, and a group of skilled workers with many years of production experience. 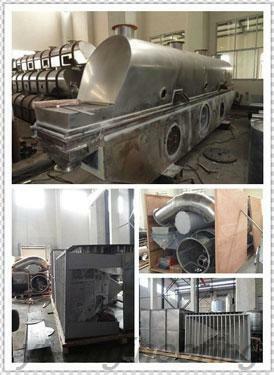 All the vibrating fluid bed dryers have superior quality, so as to reduce the costs and losses from the rework.